One small fact to know about me is that year round I love peppermint. Really mints of any kind are my go to, so this time of year is extremely wonderful for me. Peppermints can be found anywhere: in coffee, in ice cream, and in cane form. It’s truly a beautiful time for my stomach, because I can indulge in one of my favorite treats in so many different ways that it should probably be considered illegal. No one look into that though, I’d much rather there be no prohibition placed upon peppermints. Perhaps that little intro made you realize what was coming in, but it is more than likely you’re still left in the dark. My fault really, my leave of absence occurred shortly after I started Nostalgia Sunday. I really can’t blame you for forgetting. A quick refresher pertaining to Nostalgia Sunday’s would have to be stating that this is the day I reminisce on feelings or objects that bring me back in time. For instance, peppermints. Continue on if you’d like to read about my strong feelings for a piece of candy, move along if you think it’s too weird. 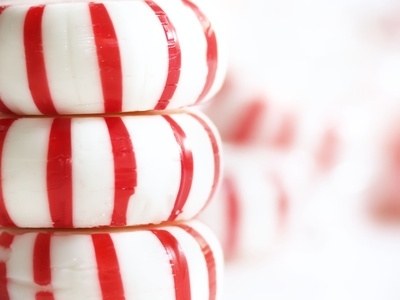 The smell of peppermint lingers in the air after just one lick. It seems to cling to your person, making you crave more of the succulent treat. The red and white blend catches your attention beautifully, and holds it without even trying. I can remember it clearly; the sweet taste as it coats my tongue and the stickiness the red and white candy leaves behind on young fingertips. They come in around holidays, with their delicate arcs and graceful curves. Candy canes mean joy with friends and family. Candy canes crafty a point of happiness. There was always something so simple about holding the thin treat in my hands while I crafted the end into a sharpened point as the sugary goodness dissolved beneath my taste buds. Time seemed to slow, coming to a halt as I sat by the tree – decorated in brightly colored ornaments and shining lights – as I devoured the delicacy. Cleanup, of course, was always the worst. My mom would take a wet clothe to my hands and face, making sure none of the residue was left behind. The dishtowel always felt so coarse against my skin, rough and grating as it raked over and over trying to rid my flesh of the peppermint scented sugar. Yet, even knowing that I would be forced to endure the same thing over and over again, I always wanted to have another candy cane. The holiday season comes every year without fail, and with it brings the memories of a stained tongue and minty breath. In honor of NaNoWriMo, I am dedicating this post to just that. If you are participating in NaNoWriMo and would like to be writing buddies, you can find my page here. Five years ago marks the awakening of my knowledge of the aforementioned monthly challenge. I took to it eagerly, filled with excitement and bright eyes as I went about getting my fifty thousand words done in just thirty days. Little did I know that during week two I would feel run down and drained of ideas, as do many of us participating in the famed event. That shouldn’t deter any new participants though, because it’s a well known phenomenon amongst us NaNoWriMo veterans. The first year of my participation I started off loving my idea. The words were smooth flowing, and I felt that I really had something going for me. Around the time that week two started something shifted. I started having writer’s block, and began adding characters just for the sake of new concepts to happen. By the time the third week came, I was on track for my word count but the story I was weaving was so complex I was too embarrassed to share it with anyone. Then the fourth week rolled in, and I knew that I wouldn’t be able to use this story for anything other than getting the amount of words I was going for. It was a learning experience, because it showed me that I could get the word count no problem. That was the goal for that year, and I knew what I needed to do to correct the next year. And I did just that. When the next November sprang about I was ready, I succeeded in getting a story that actually had a plot, and it worked well; even though I didn’t want to share it with anyone still. Enough of my writing history though, you can read about my experiences on my author page at the WriMo website if you so choose. I want to let everyone know that the feeling is worth it. Even though I was frustrated in the midst of the challenge, the end result, the feeling of accomplishment began to overwhelm me towards the end. I had done it. Writing was always a hobby I indulged in, but until that first NaNoWriMo most of my stories sat somewhere in the ten to twenty thousand word level. NaNoWriMo showed me that I could stick with a story longer than that. 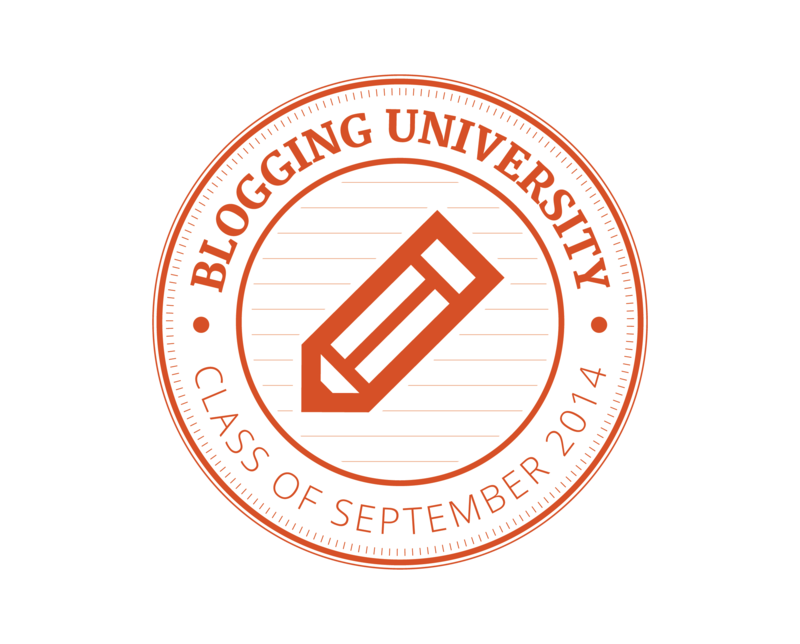 It showed me that with a little perseverance I could push through writer’s block and continue on. That feeling is still with me every time I think about the first time I competed. Whenever November comes around I have a new goal in mind. This year, I want to create a story that I am proud of. I want to make words happen that I want to share with others. This will be the year that I do something with my writing. Who knows? Maybe I will even finally take the steps to get my work published. So this is my encouragement to all of you NaNoWriMo participants; new and old. You can do it, and just know that even when it gets tough, you won’t regret it. Waking up to a scratchiness of my throat was irritating in a way that I would rather ignore, but I just couldn’t forget about it. It tickled when I breathed and ached when I ate or drank anything. All that I could get over; it was inconsequential compared to the feeling it brought to my chest. The beginning of cold season reminds me that I’m on my own when it comes to my health. As much as it used to annoy me to be nagged about things like gargling salt water or taking Airborne, I find that I kind of miss it. I miss knowing that somebody out there cared enough to worry. Even though I know how to take care of myself it was kind of nice having someone there to help me with it. I’m not incapable by any means, and I find myself bordering on the side of independence that is somewhat of a nuisance, but when I’m sick I just want to know someone cares. The independence I feel is still there, of course; I don’t want anyone to do anything for me, I just liked the feeling of knowing that someone loved me enough to offer assistance. It’s really a strange feeling. I don’t feel that same sense of comfort living away from my parents . My mom is one of the sweetest people I have ever met. She sees the good in every person, and will do whatever she can to help those in need. It made for pampered sick days with a hovering mother that made sure I had everything I could need before I even realized I needed it. Cold and flu season makes me appreciate all that my mother did for me, because now I do it all by myself. Though I never asked for anything when I was sick – I tended to just sleep as much as I could – my mom still knew what I needed. I never thanked her for that, and she never would have accepted my thanks. Every time I take steps to avoid becoming sick I give silent thanks to my mother for all the nagging that she gave, because it did its job: It’s still with me to this day. Hopefully, this post will be the start of a weekly trend. I’m hoping to begin what will from now on be dubbed ‘Sunday Nostalgia’ because I don’t know about you, but Sunday is a time where I tend to feel down and out. It’s not that I feel depressed per se, but I just feel a bit lost. My thoughts swell, and I tend to be the laziest on this day. Memories are closest to the surface on the Sunday’s that are overcast. On Sunday’s, I will share with you small snippets of my past that feel like home to me. This pieces could come in story form, a simple memory, or an explanation. My plan is that since around this time next year I might be moved far away from home I won’t feel quite as lost thanks to these posts. It will be a way to stick close to the heart without there actually being that minimal distance. You’ll just have to bear with me if it’s utterly ridiculous. 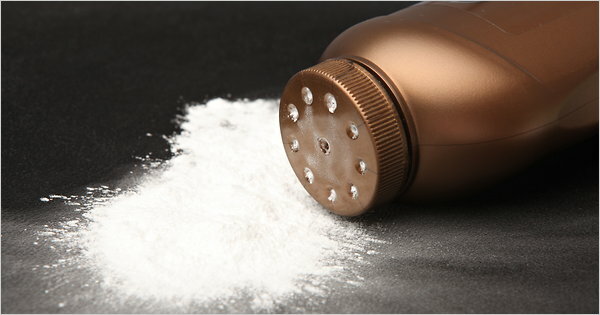 The scent of baby powder always seemed to cloak the air of my parents bathroom. It was like a perfumed cloud that rained down in tiny fluff-flakes of happiness. The blanket of powder allowed me to draw shapes on every surface. Leaving smiles and notes for my parents to find. A giggle would escape as I worked. The silken coat of dust would cling to my skin and leave residue on every part of me: from hair to clothing. It was always obvious I’d been in there, so I didn’t bother to hide it. It was never mentioned though; both my parents and I kept our lips sealed. Like a game, I often whispered to myself. I would sneak in when they were occupied somewhere else in the house, and they would find them later in the day. Sometimes I would wonder if they ever even uncovered my little gifts. But my mother would smile softly at me after exiting the bathroom before running her fingers through the white fluff that still clung to my hair, and I knew. Without anything ever being said, I knew. To this day the sight of baby powder all over the bathroom doesn’t make me mad. I’m a notorious clean freak about many things, but when my roommate leaves that powder lingering on the counter and floor I can’t bring myself to clean it up. There will always be a place in my heart that warms at the sloppy spillage. I still draw pictures, and, even though my parents no longer see them, I still feel like it’s our little secret. Maybe when I’m home next time I’ll sneak into the bathroom and leave them a little smile. Just to let them know the memory still stands strong. A reminder of the past, without any words.